Check the answers of the worksheet by adding or subtracting. 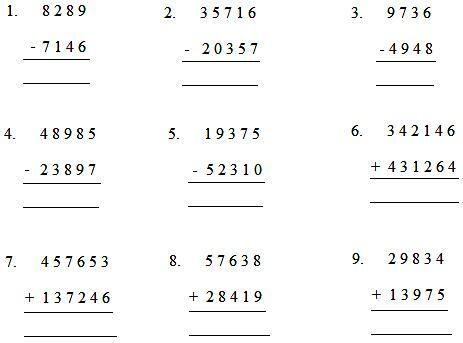 In 4th grade worksheet on addition and subtraction we need to check the answer by calculating, all grade students can practice the questions on addition and subtraction. This exercise sheet on addition and subtraction can be practiced by the students to get more ideas to solve and then check the answer of the worksheet by adding or subtracting. If students have any queries regarding the questions in the worksheet please fill-up the comment box below so that we can help you. However, suggestions for further improvement, from all quarters would be greatly appreciated.